When everything turns to gold 100 GOLD DIGGER GOODREADS GIVEAWAY! 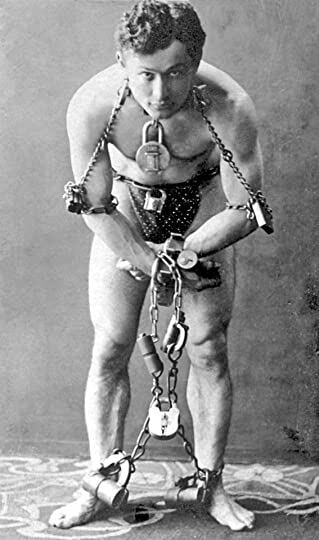 Houdini kept the secrets of his illusions to himself, so much that even his friends thought he had supernatural powers. When his good friend, stage star, Sarah Bernhardt lost her leg to gangrene, she asked Houdini to restore it! Apparently, Houdini did not tell anyone about the affair which took place in 1918, just as American entered WW I. During this time, they carried on their torrid affair in Greenwich Village, while Houdini was training American troops escapes and codes and keeping secrets. Historians and biographers, Kenneth Silverman, William Kalush and Larry Sloman discovered the affair in Charmian London’s diaries. Only after his death did Bess discover love letters Houdini kept, which undoubtedly contained letters from Charmian, who she considered her friend. She invited the women to tea at the Houdini brownstone. When they left, she presented each with a gift of their letters. Rebecca Rosenberg and Lake Union Publishing, is Wiki’s Marvelous Novels of the 20th Century, a Spirited Woman top pick, a Pulpwood Queen five-diamond book. It was also nominated for the Center for Fiction First Novel Prize. In 1915, when the Houdinis and Londons met at the Orpheum Theater in Oakland, California, the two men were the most famous men in America. Jack London was the most popular, highest paid author with fifty books, and Harry Houdini had performed his astounding escapes and magic all over the world. How did they fall in love with the same woman, Jack London’s wife, Charmian London? One of America’s most provocative women, Charmian London, was the bohemian, flamboyant, yet devoted wife of Jack London, the most popular author of his era, until their fateful meeting with Harry Houdini and his wife, Bess Houdini. Charmian London typed Jack London’s work as he dictated, editing later. She would draw character sketches, fill in descriptions, and smooth over the rough spots. She was a modern working woman in 1915, with credentials of her own. Charmian was a serious writer, particularly in travel writing. Her full-length books include The Log of the Snark (1915), Our Hawaii (1917), The Book of Jack London (1921) and The New Hawaii (1923). January 1918, Charmian London traveled across country to New York City to see Houdini in the patriotic World War I extravaganza, "Cheer Up" at the Hippodrome Theater, where he famously made a five-ton elephant disappear on stage. Evidence of their affair comes from Charmian London's diaries at the Huntington Library in Pasadena, Calif. Charmian wrote that after they saw each other a few times, Houdini made a "declaration" that "rather shakes me up." They became intimate a short time later. She wrote that Houdini’s visits "stirred me to the deep," and that he felt the same, declaring, "I'm mad about you," and "I give all of myself to you." Throughout, she refers to him alternately as "Magic," her "Magic Man," or "Magic Lover." 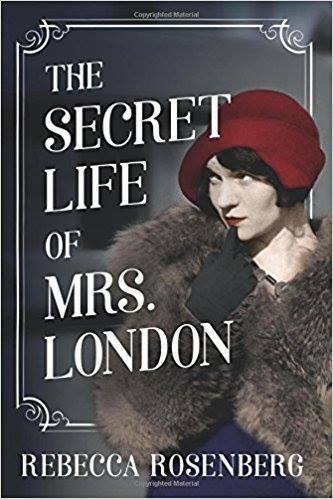 After London died in 1916, Charmian dealt with London’s literary estate, which entailed more than 50 works of fiction and non-fiction and hundreds of short stories and letters translated into 70 languages. She died in 1955 at the age of 83. Looking forward to reading this, thanks!